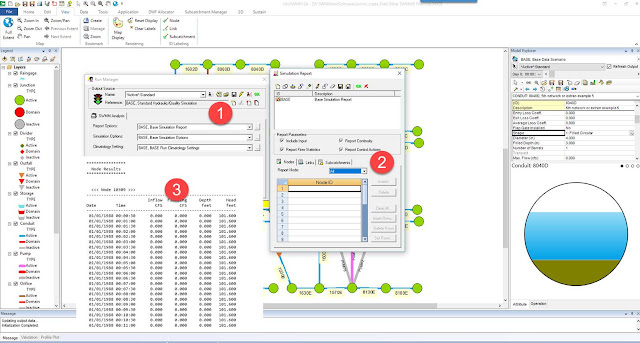 How to turn on the option in InfoSWMM to show the SWMM5 RPT file output table for each node, link and subcatcment; go to the Report Option dialog (1), turn of report all of report selection list (2) and in the output file you will get a time series of the node, link or subcatchment data for making time series (3). As I move from one PC to another and want to go back and recompile an earlier version of SWMM5 in a newer version of Visual Studio, I often have file issues. 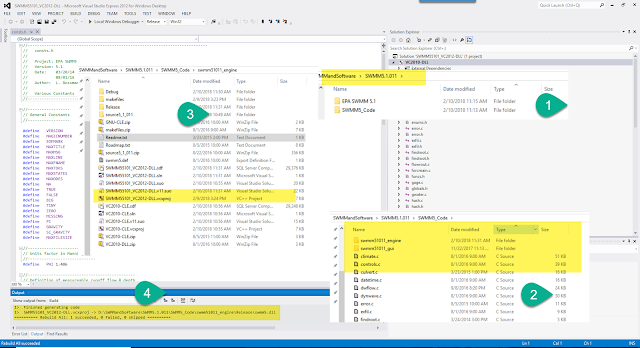 Here is how I cope using the earlier version of SWMM 5 : Use Visual Studio 2012 and make a SWMM 5.1011 directory with two sub directories, C and Delphi Code and the model files needed to run your networks,Copy the C and H files to the SWMM5 Sub folder D:\SWMMandSoftware\SWMM5.1.011\SWMM5_Code from the SWMM5 engine zip folderRename the vcxproj files so they correspond to the version of SWMM5, SWMM55101_VC2012-DLL.vcxproj in the D:\SWMMandSoftware\SWMM5.1.011\SWMM5_Code\swmm51011_engine folderYou should be able to compile the Debug or Release versions, the SWMM5.DLL file will be made in the debug or release D:\SWMMandSoftware\SWMM5.1.011\SWMM5_Code\swmm51011_engine\Release You can change this location later for testing.